Cassini has spotted a river system on Saturn's moon Titan. Astronomers, looking deep into the universe through the lens of NASA’s Hubble Space Telescope, saw millions of years further back in time than previously observed. The Hubble’s wide-field camera 3, used to observe the universe in near-infrared light, revealed images of seven primitive galaxies that are thought to have been formed 13 billion years ago. Scientists believe the Big Bang created our universe about 13.7 billion years ago, so this discovery puts the galaxies relatively close to the birth of the universe. These results come from a survey of an highly studied patch of sky called the Ultra Deep Field (UDF). One of the goals of a 2012 campaign called UDF12 is "to determine how rapidly the number of galaxies increases over time in the early universe. This measure is the key evidence for how quickly galaxies build up their constituent stars," according to NASA. A NASA Cassini space mission orbiting Saturn has unveiled high-quality images of a river valley on Titan, the largest of Saturn’s 62 moons. The river, similar to Earth’s Nile River, flows from its “head waters” at Titan’s North Polar region into Kraken Mare, believed to the moon's largest sea. 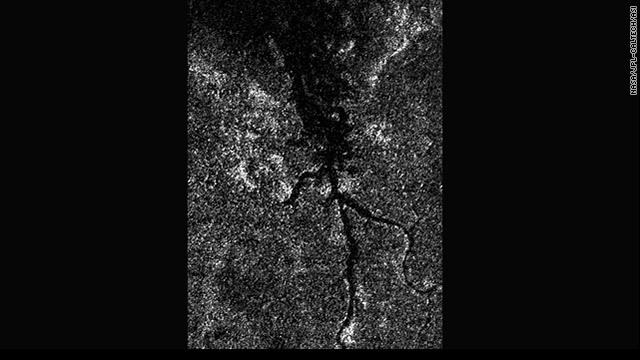 The entire length along the river valley looked dark in Cassini’s newest high-resolution images, an observation that led scientists to conclude the Titan River is filled with liquid and has a smooth surface. Titan’s river valley, with hydrocarbons such as ethane and methane, stretches at least 200 miles (400 kilometers) while the Nile River is about 4,100 miles (6,700 kilometers). Astronomers, studying thousands of stars throughout our Milky Way galaxy, found some giant star clusters that are more than 10.5 billion years old but appeared to look younger than other stars formed around the same time. Scientists say the rate of aging for each cluster differs. The team of astronomers examined 21 global clusters - a group of stars pulled together by gravity. The study focused on blue stragglers - large and luminous stars that are still alive although they are known to burn out rapidly as they grow old. The blue stragglers that settled at the center of the cluster because of the heavy weight appeared old while the stars that have spread throughout the cluster looked young, leaving the rest of the rest of the stars in the middle. Scientists concluded the blue stragglers managed to stay young by consuming all the matter from its surrounding stars. Life in the Universe is a window into the living story of our universe; the realities of trade, travel and conflict in space; the birth and death of civilizations across the stars and the greater plan and purpose of a Creator who oversees the spiritual progress of life in all galaxies. Enter a universe that is alive with danger, mystery, relationship and purpose. Explore the unfolding narrative of life in our own region of space and learn about the struggle for freedom now occurring beyond the borders of our solar system. A couple of weeks ago Chad Meyers reported on CNN that the 125 foot diameter asteriod that made a close pass by the Earth after just being discovered 2 days earlier, would have made an 800 mile diameter crater if it had hit the Earth. Chad, you need to re-check your sources on that, an asteroid or comet hitting the Earth will make a crater roughly 10 times its own diameter, i.e. that asteroid would have made a 1,250 foot diameter crater if it had hit the Earth, not 800 miles!!! The body that wiped out the dynosaurs was about 10-20 miles in diameter.